Bill Martin, Jr. was on a train heading for New York City when the line “brown bear, brown bear, what do you see?” came into his mind. By the time he pulled into Grand Central Station fifteen minutes later, the book was complete, jotted on the margins of his newspaper. He chanced upon an ad portraying a bright red lobster and he hunted down the artist and invited him to collaborate. 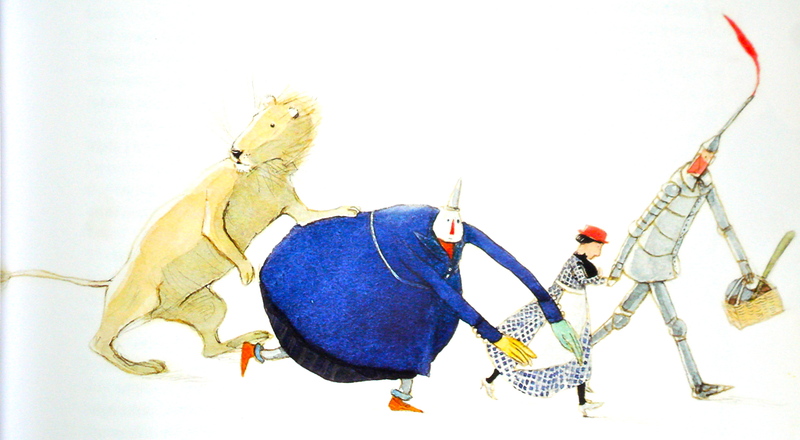 Eric Carle had no experience as a book illustrator but over a weekend he created the painted tissue paper collages. The resultant book has remained a bestseller for over forty years. Perhaps the spontaneity of its creation ensured its enduring freshness. Of the 300 books that Bill Martin, Jr. wrote, there are two that stand out. The first begins, “Brown Bear,/ Brown Bear,/ What do you see?/ I see a red bird looking at me.” Using this template, in the ensuing pages, we meet a yellow duck, a blue horse, a green frog, a purple cat, a white dog, a black sheep, and a goldfish. The second book begins, “A told B,/ and B told C,/ I’ll meet you at the top of the coconut tree” – this from Chicka Chicka Boom Boom, co-written by John Archambault. The key to both is the cadence of the rhythm, in the latter case finger snapping and jazzy. Listen to Bill Martin, Jr. sing Brown Bear with his slightly cracked and off-key voice – it is hard to read the words without giving them a tune. There are a myriad of books that teach the colors, animals, and alphabet, but children return to these two repeatedly because of the melody behind the words. Martin was raised in Hiawatha, Kansas in a house without books. He had difficulty with reading until he went to teacher’s college where memorization of poems by Robert Frost and Walt Whitman helped him decipher the written word. In response to a professor’s encouragement, he read a whole book for the first time. Because of his own dyslexia, he wrote books that children could hear. His rhythmic language has greater affinity to song lyrics than to either poetry or prose.